If you have followed Cakeyboi from the start, you may know of my love of Eurovision. The song contest which is broadcast every year across Europe (and other continents I believe). It pits European nations against other European nations and may the best song win (well, it doesn’t always work like that). The voting is political, hysterical and overall makes for a perfect Saturday evening in front of the telly. My friend Ewan always throws a Eurovision shindig, which I always bake a cake for. And I always incorporate the host nation’s flag into the cake somehow. 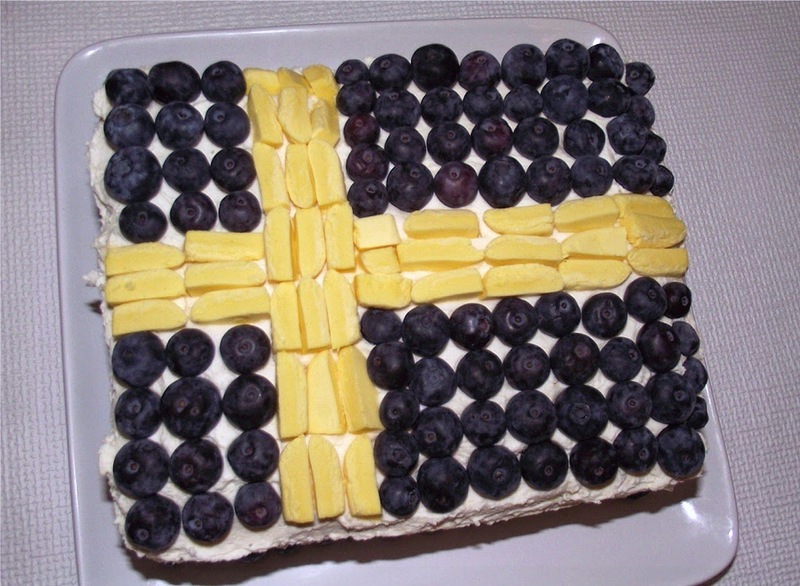 A couple of years ago it was the Azerbaijan flag, last year I made a blue(ish) velvet cake for Sweden. This year’s host was Denmark and I wanted to do something other than just make a flag on top. S o I decided to make the flag on the inside of the cake (as you can see from above). As the colours were red and white, I went for red velvet cake (without cocoa) and white cake. I added clear coconut extract to the white cake as I didn’t want vanilla to alter the colour. I made the cakes the night before and let them sit out overnight to ‘firm’ up a little for cutting. The next day, with my best geometry skills, I measured and cut until I got what I thought was the right pieces for putting together the flag. I then whipped up some of my cream cheese whipped cream frosting and set about putting the jigsaw together. The flag took shape and I felt alright with the result, but not 100% happy as lines seemed a bit off. Still, I persevered and decorate the top of the cake with sliced strawberries for garnish. This was a behemoth of a cake and was tricky to drive with up to the glens of Scotland where Ewan lives (beautiful views). Disneyboi kept a good eye on it as I drove and it got there in one piece. Lots of food and drink were consumed during the show and just after Conchita Wurst sang her winners song, we decided to slice the cake. Somehow it had melded together perfectly and I was pleased with how I turned out after all. And everyone loved how it tasted! If you would like to make a similar cake follow the link for my red velvet cupcakes and double the quantities, but bake the batter in a 9”x13” baking pan at 180C for 25 minutes approx. Likewise for the white cake, follow the recipe for my strawberry orange sprinkles poke cake – don’t add the sprinkles and substitute the strawberry flavouring for coconut. Last but not least, grab the recipe for my cream cheese and double cream frosting. And I shall leave the jigsaw part up to you. 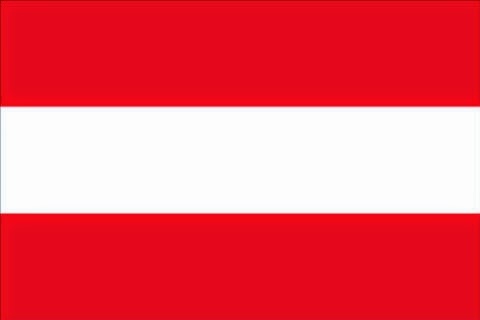 Austria will be host next year, but I plan to change things up a tad as it will be the 60th Anniversary of the song contest (and the flag would be quite similar to this years) – any suggestions will be gratefully welcomed! This looks fab Stuart! Another delicious and fun Eurovision cake! Hurrah for Eurovision cakes - next year it must be the Austrian flag with a beard on it! My mom loves Red Velvet cake so these are perfect! So glad I saw this post.